Possibly the most sober painting of this man. Who is he, and why has his work suddenly become famous? Joseph Ducreux. His “Portrait de l’artiste sous les traits d’un moqueur” has become the subject of the infamous “Archaic Rap” meme. How many times have you written, read or answered the following announcement: “Please refrain obvious” Why anyone is still questioning us effeminate? Could it be that long we have always been seen as little more than gay men? Why is this internal homophobia? While we start with the fact that many gay men are biologically we think that others are not as culturally they feel more attracted to roles, roles and especially female characteristics males But how are men? How females are the women? These days women have some features that “should have” are no longer passive, not usually affectionate, submissive, fearful, afraid. Today our country is clear that the woman who gets the house and the family “then where are the masculine values ? ?of provider and head of the family home? The macho man is extinct and this is something that affects homosexuals to “male” because we can not marry nor with the idea of ? ?macho man, perhaps with the manly man with man thus consistent not only in “masculinity” but also on their sexual orientation Why?, well because many people who write “Please refrain obvious” do so because the dressed and mannered noise makes them the prejudices that we have learned from society and therefore joto said the passive, the effeminate. Why do we build from discrimination? It is general rule that homosexuals are we making a difference between what we are and what is a “real man” men do not cry, do not crack, are not sensitive, are brave, fearless and therefore are usually those buy this script we are unable to express love, affection, to enjoy something that is going beyond Dame or worse sexual enjoyment as we just finished the famous “in-out-exploited” and that was our ability to feel. Apart from this castration sense, also there is this double standard “to me not notice me” why do not you want to be noticed? For shame of yourself, shame to love who you love, for fear they will discriminate, feel that you can fool others if you can not fool yourself. And finally what? It is curious that today, men who at some point in their life bought the speech: I am male, in charge of my house, you do what I say, men do not cry, that’s for fags and so on are the most abused elderly, elderly solitary. It seems that the model please refrain obvious “is not the solution, although they do not communicate or not we are certain poses, mannerisms or” lifestyle “we must learn to live together, respect and above all meet these Fears of experiencing new forms of being gay, gay men or gay men. After all the masculinity is an invention of culture and what used to be male today is something very feminine and vice versa or did not know that the skirts, makeup and wigs were invented especially for the use and enjoyment of man? As men we must question whether our ways of relating and vivirnos correspond to what we want or what society expects of us and break heterosexual both schemes effeminate homosexual, homosexual like he was not see anything, and no with the aim that no one would notice or that all we note, but gradually the peculiarities and prejudices lose power over our actions. The construction of a new male identity, and can not correspond to established models, but like homosexuality should be enriched from our experience. And finally who is more obvious?, “One that all life is going to escape the visible gay, or do those who decide to push the boundaries of stereotypical masculinity to feel gay? Joseph Ducreux. His self-portrait is the smug, finger-pointing dude that became a meme with rap lyrics and Steve Buscemi and other assorted whatnots. Ducreux’s self-portrait Portrait de l’artiste sous les traits d’un moqueur has become subject to widespread internet popularity as part of an internet meme in which rap lyrics or other memes’ text, paraphrased in archaic English, are overlaid on top of the portrait. 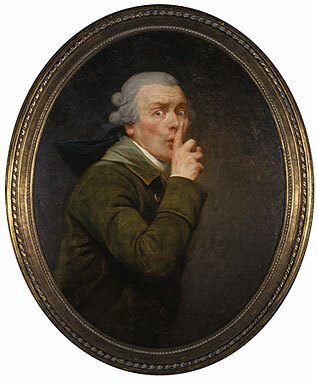 Joseph Ducreux who’s paintings have been used for an internet meme. Joseph Ducreux, of Archaic Rap meme based worldfamosity. Joseph Ducreux. Internet meme with rap lyrics paraphrased in old English. Joseph Ducreux’s self-portrait ‘Portrait de l’artiste sous les traits d’un moqueur’ has become subject to widespread internet popularity as part of an internet meme in which rap lyrics or other memes’ text, paraphrased in archaic English, are overlaid on top of the portrait. Due to extensive use of his paintings in Internet Meme. That’s Joseph Ducreux, who’s work has become an internet meme because the painting “Portrait de l’artiste sous les traits d’un moqueur” has him pointing at you with a hat and a “pimp cane”. So people put ye olde versions of rap lyrics on them. Instant funny.